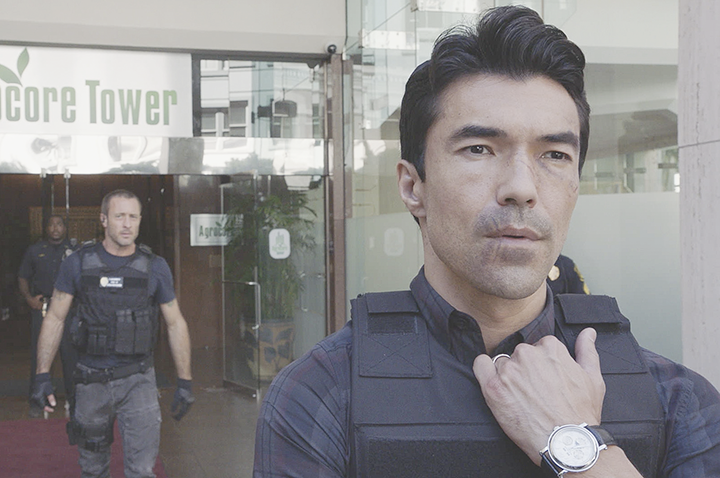 Is Ian Anthony Dale leaving Hawaii Five-0 season 8 — for now? Is Ian Anthony Dale leaving Hawaii Five-0 season 8? On tonight’s episode, you certainly may have been wondering that question at the end. Ultimately, the truth here is pretty clear: Eventually, at some point Dale has to leave the show. That’s been clear to us ever since our interview with show executive producer Peter M. Lenkov a little bit earlier this year. Dale is a regular on Salvation and with that in mind, at some point he’s going to need to depart in order to go and work on his other show. He’s a regular over there just like he’s also a regular here. Having both of these shows air on CBS, and having both featuring Lenkov as a producer, is really one of the only reasons why this arrangement worked to begin with. Now, the question here is whether or not this departure was going to happen tonight. In the early going, it seemed that way and like Adam was ready to leave Hawaii behind in order to go be with Kono on the mainland again. The struggle to stop the local gangs was just too much. Here’s the good news: Even if Dale leaves now, there’s always a chance that he comes back down the road. Adam remains a beloved member of the Ohana and it was cool that he had such a serialized story this year. Related – Be sure to check out some other news, including a full review for the episode! Want to get some other news right now when it comes to Hawaii Five-0?